Protect your commercial kitchen from dangerous – not to mention, costly – flash fires by signing up for our grease filter exchange service today. Grease filters are an essential part of your commercial kitchen exhaust system because they reduce the amount of vaporized grease that ends up within you exhaust system ducts. If grease is allowed to build up too much, a flash fire can result. So an important step towards preventing flash fires in your kitchen, besides scheduling regular exhaust system cleaning services with Flue Steam is to make sure your grease filters never get saturated with grease. If your filters become full of grease, they can’t prevent grease from building up in your exhaust system. As a result, your whole kitchen exhaust system will operate with reduce efficiency and there will be a serious accumulation of grease right above your cooking appliances. Don’t put your kitchen staff and customers at risk – make sure you reduce all likelihood of flash fires in your commercial kitchen by signing up for regular grease filter exchange services from Flue Steam. If you’ve ever attempted to exchange a grease filter yourself, you know that it can be a cumbersome process. Let us make your life easier! We offer fast, convenient, and affordable filter exchange services. You won’t have to worry about maintaining your grease filter anymore. We proudly offer complete grease filter exchange services for commercial kitchens throughout Southern California. At each grease filter exchange service appointment, our technician will deliver fresh, clean filters right to your kitchen at preset intervals of your choice. The technician will haul away old filters for cleaning and install the new filters for you. We recommend that most grease filters be replaced every 2 weeks. 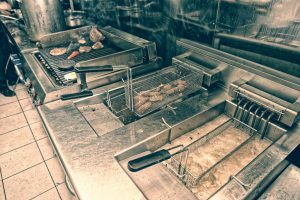 Certain restaurants that don’t use much grease or oil can sometimes get away with waiting to replace their filters every 4 weeks. Give us a call at 800-700-FLUE and we’d be happy to discuss your restaurant and recommend how often your grease filters should be replaced. 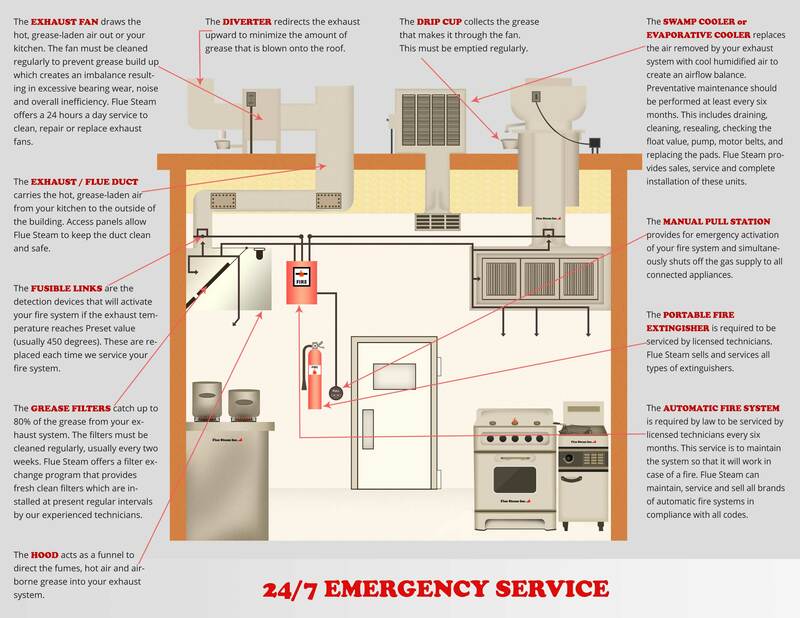 Rest assured, our top priority is making sure your commercial kitchen runs as efficiently and safely as possible. We also offer high quality grease filters for sale. We carry most sizes of Kason and Flame Gard brand grease filters at affordable prices. We purchase grease filters in bulk, so we gladly pass along the savings to you. Sign up for any or all of our services today by simply calling Flue Steam at 800-700-FLUE. We look forward to making your kitchen run more smoothly, efficiently, and safely.